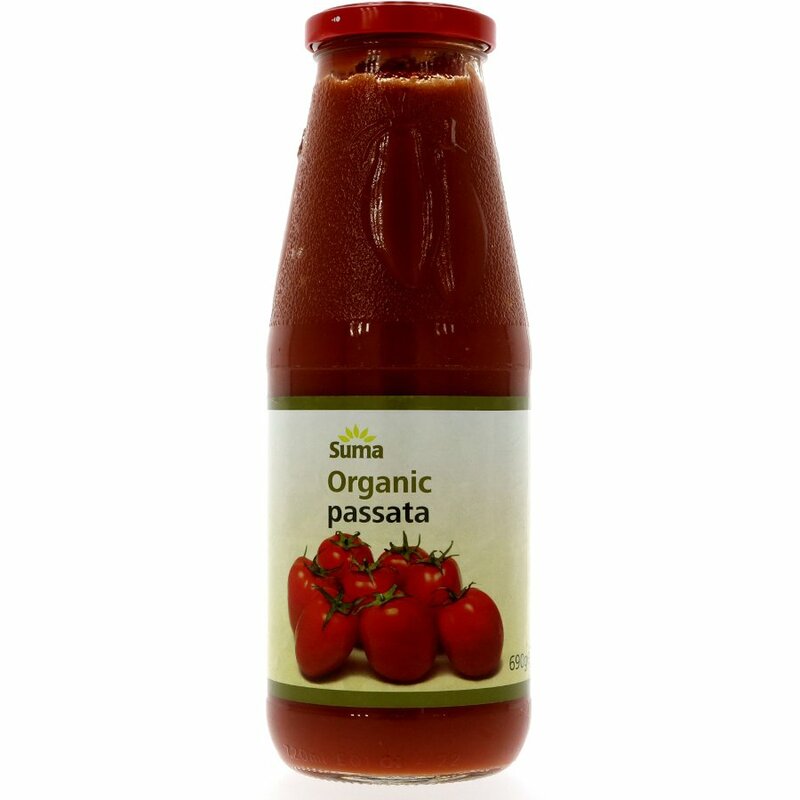 This tasty Organic Passata from Suma contains just one ingredient - organically grown tomatoes, pulped and sieved. Fantastic for sauces, soups, pizzas and more. Vegetarian friendly. 690g. The Suma Organic Passata - 690g product ethics are indicated below. To learn more about these product ethics and to see related products, follow the links below. Always have this in the cupboard or I really miss it ! Makes the best chilli, bolognese, curry and soups. Lovely flavour and texture. I never use tinned tomatoes now ! Love this. Strong rich tomato flavour. A little goes a long way. There are currently no questions to display about Suma Organic Passata - 690g.